Here at Atlanta magazine, we have a thing for AMC’s The Walking Dead. 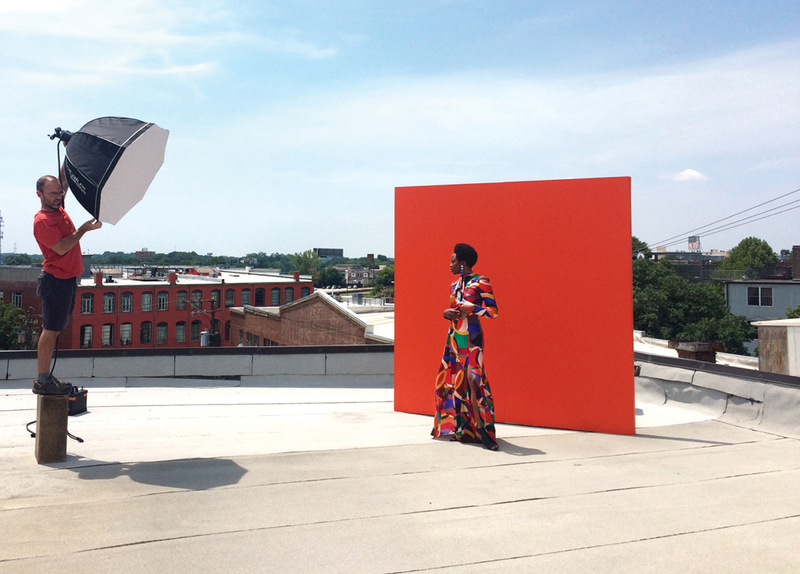 The model for our fall fashion shoot this month is Danai Gurira, whose character, Michonne, uses a samurai sword to dispatch zombies. In our fashion issue last fall, one of her costars, Christian Serratos, also served as our model. This month’s cover, in fact, represents the third on which we’ve featured a star from the show. Three years ago we photographed Norman Reedus (who plays Daryl) and Andrew Lincoln (who plays Rick). We split our press run between the two of them; Reedus was on half our covers that month, Lincoln on the other half. My only regret is that we didn’t have separate bar codes for each cover, so we could determine who attracted more newsstand buyers. But the best part—for me, anyway—was sitting down with both of them to discuss their experiences of living and working here. Because even a mere three years ago, the idea of Georgia as the location for Hollywood productions still seemed novel. These days I don’t even pay attention to the cryptic yellow signs directing crews to sets around town. As I write this, there are no fewer than 30 TV shows and movies in production in Georgia, according to the Georgia Department of Economic Development. In the 12 months leading up to July 1 this year, various productions spent more than $2 billion in Georgia, which translated (if you believe the multiplier effect) to $7 billion in total economic impact. Governor Nathan Deal has made the calculation that the costs of the tax credits claimed by the productions, which translates to upwards of a quarter-billion dollars in lost revenue for the state, is more than made up by the economic impact. Georgia’s continued success as the Hollywood of the South is far from guaranteed, however. California has taken notice and is starting to dole out credits of its own to keep productions there. And Americans for Prosperity, a free market advocacy group partially funded by the Koch brothers, has targeted film and TV tax credits in various states, calling them giveaways. One of AFP’s regional officials calls the credits “crony capitalism.” Maybe they are. But not long ago I drove my family to Senoia, the little Coweta County town 50 miles south of Atlanta that’s been the backdrop for whole seasons of The Walking Dead. We dropped by the Woodbury Shoppe, where you can buy Walking Dead coffee and Walking Dead luggage tags. We serpentined around the line of people waiting to take the Walking Dead tour. And we saw the construction on what is now Nic & Norman’s, the new restaurant co-owned by Reedus and one of the show’s producers. In the past decade, the number of businesses with storefronts on Senoia’s main street has gone from five to 50. It’s hard to argue with that success.